Wow Air is offering travelers departing from Montreal’s YUL airport fares as low as CAD $99.99* to a number of European destinations, for travel between March and May 2019. Montrealers can now book affordable flights to Reykjavik, Brussels, Berlin, Dublin and London in time for major events and celebrations taking place in spring 2019. *Based on lowest one-way fare booked on wowair.ca for travel between March and May 2019. Includes all taxes, fees and carrier charges. Restrictions and baggage fees apply. Available on select flights, only when booking round trip flights. Subject to availability. Lowest advertised fare is exclusive to MyWOW members. 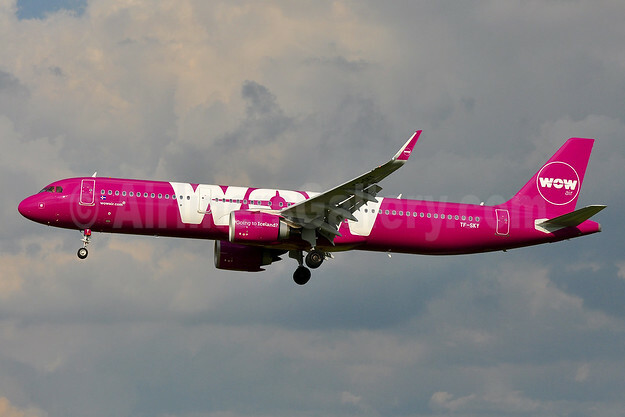 Top Copyright Photo (all others by the airline): Wow Air Airbus A321-253N WL TF-SKY (msn 7694) BWI (Tony Storck). Image: 939133. This entry was posted in Wow Air and tagged Airbus A321-253N WL, msn 7694, TF-SKY, Wow Air on March 5, 2019 by Bruce Drum.